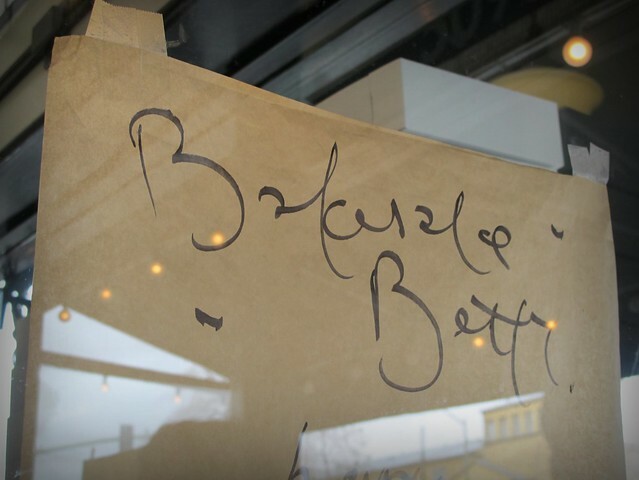 Have You Been to Bakesale Betty? I was on my way to Acme Bread in Berkeley the other day (more to come on that another day) and Cole's mom, Vicki, picked Cole and me up from BART. We were going to stop for a bite to eat somewhere beforehand. Vicki nearly swerved off the road when she realized we were right near "Bakesale Betty", which was one of her favorite lunch stops near her old office. 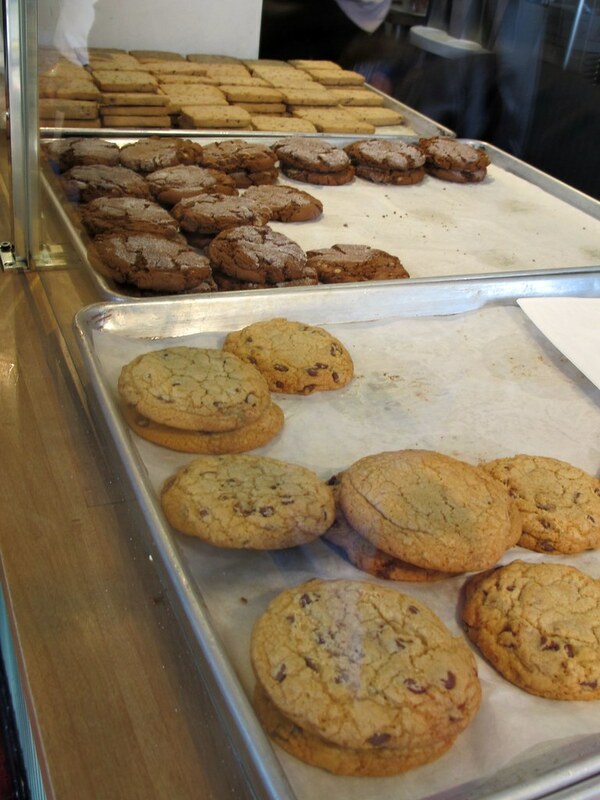 I had never been to Bakesale Betty before. As quickly as Vicki had pulled off the road moments earlier, I whipped out my camera and started documenting our lunch. In other words, I immediately realized this place was special before I even tasted anything. 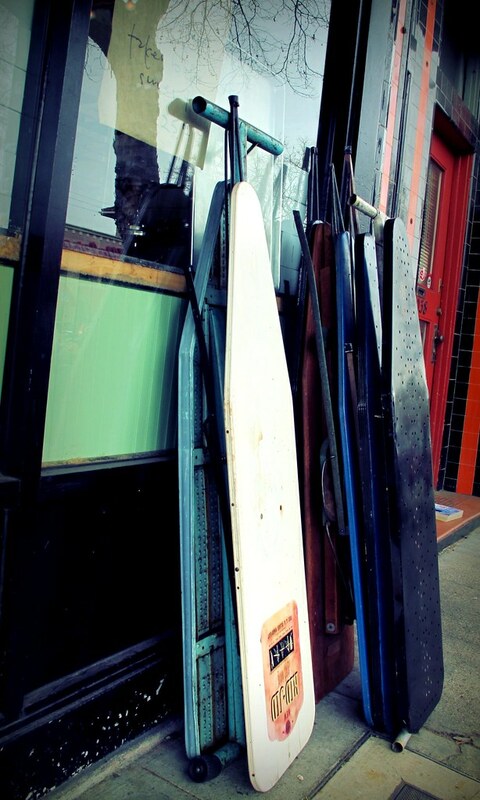 Painted ironing boards turned into patio seating. Cheap, cool, and practical. The kind of thing that makes sense. Not one of those places that turn something old into something new to say "oh, we're so uncool that now it's cool" because we're doing it "ironically". Like, I don't know....wearing short sleeve shirts under long sleeve shirts under short sleeve shirts*. Or, Jeggings. 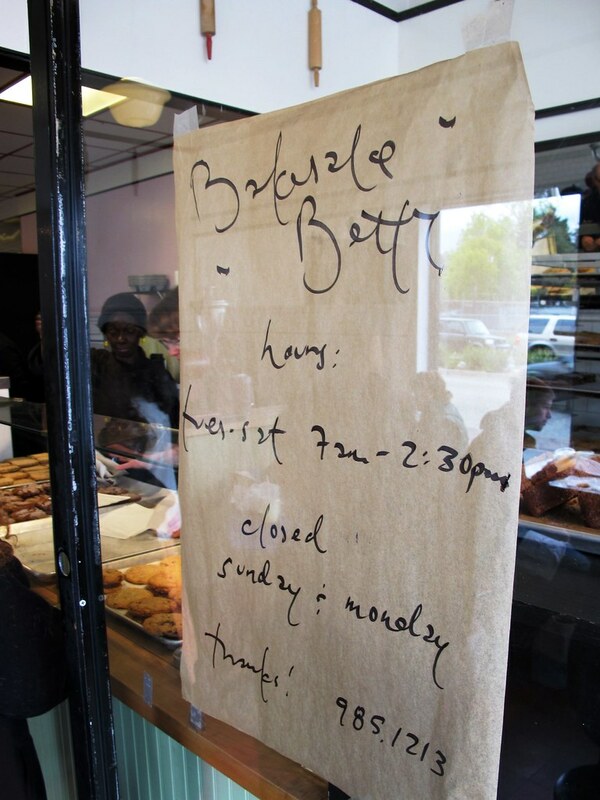 The signage and menu was handwritten on parchment paper and taped to the windows of the store. Well-loved (aka, used) rolling pins hung from the moldings of the shop interior like a 3-D wallpaper border. 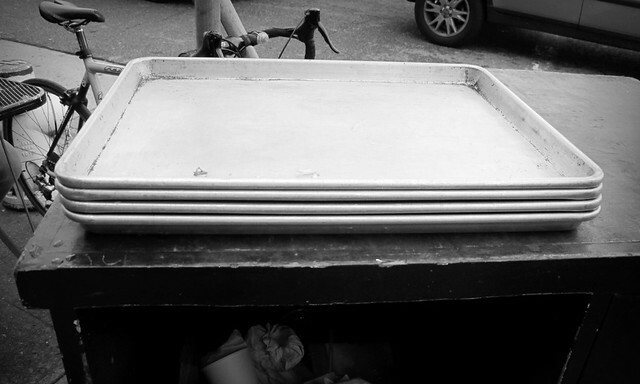 Jelly roll pans (or baking sheets) are used as lunch trays. Then, I actually ate the sandwich. 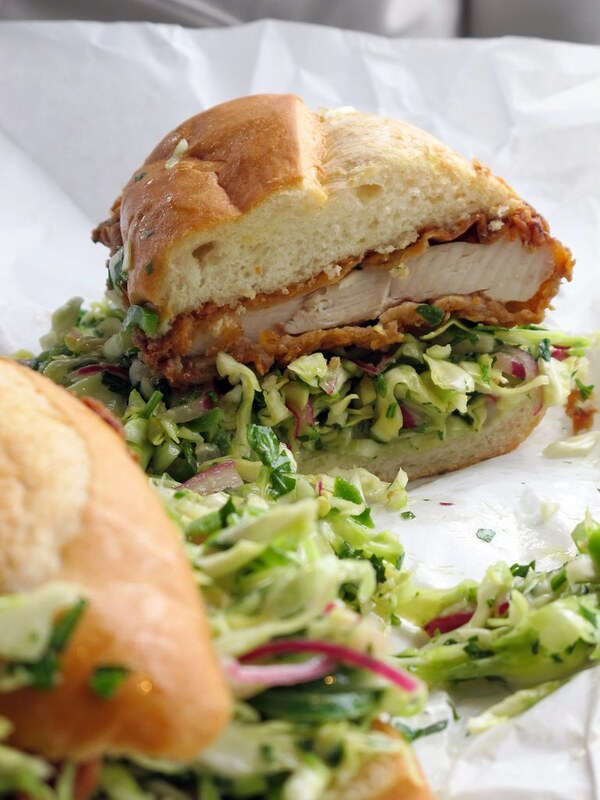 A fresh buttermilk fried chicken cutlet on a bed of mustard-vinaigrette coleslaw sprinkled with red onions and jalepenos and served on an Acme Bread torpedo roll. Heavens to Betty. 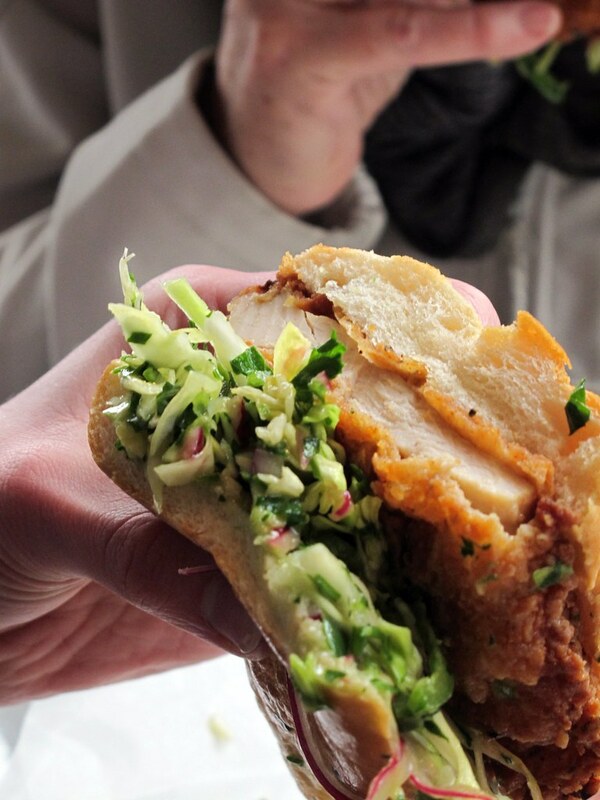 Now that's what I call a sandwich. SF Gate featured the recipe back in 2007 if you wanna take a swing at it. Not me, though. I'm going straight to the source. 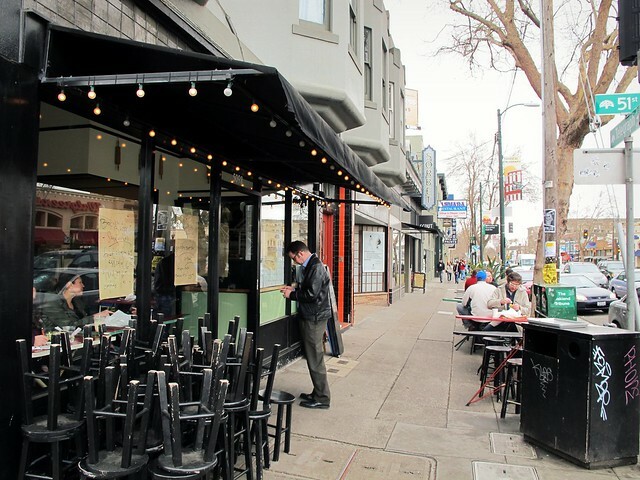 I've since learned from a Diablo Mag article that Alison Barakat, Chef/Owner of Bakesale Betty in Oakland, is an Australian cook who moved to the US in 2000. Three months later she got a job as a line cook at Chez Panisse, where she stayed for three years. In 2002, while still working at Chez Panisse, she started selling her Australian baked goods at the Danville Farmers' Market on the weekends. Thank goodness she did because that is where she met her husband and business partner, Michael Camp. 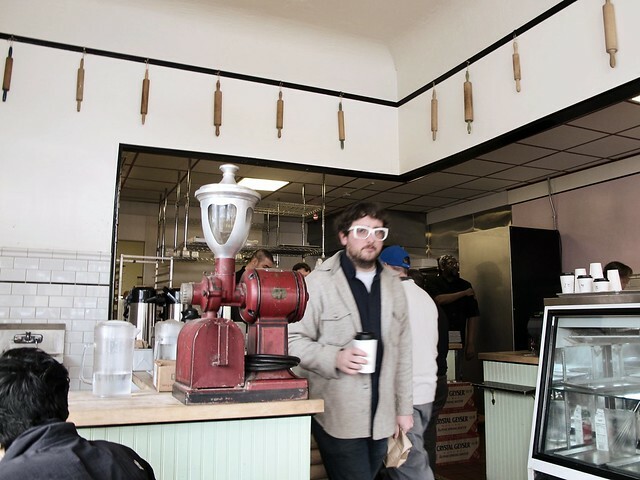 The two of them opened their bakery -- Bakesale Betty -- in June 2005 with just three employees making 20 sandwiches a day. ('Bakesale Betty' is also Alison's blue-wig wearing baking alter-ego.) Just last month, Williams-Sonoma launched their ginger-molasses cookie mix in stores nationwide. Officially reached status "Kind of a Big Deal". 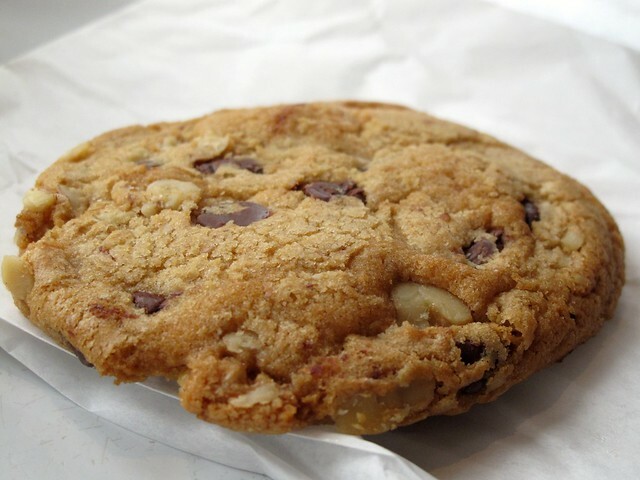 I ordered a chocolate chip cookie with walnuts, which was chewy and quite wholesome tasting. 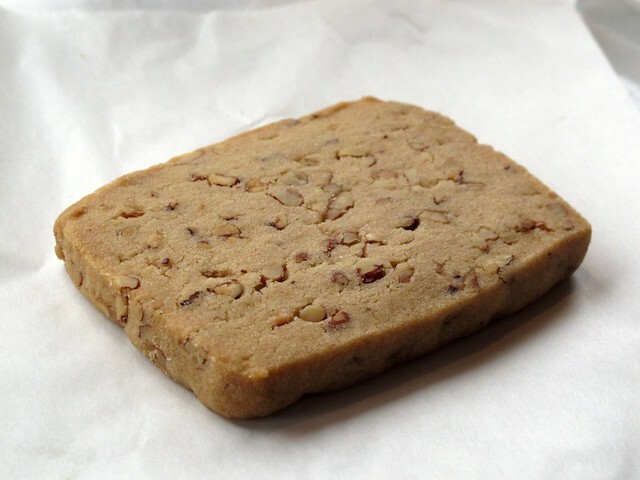 A lovely employee (who we didn't catch the name of) gave us a pecan shortbread cookie on the house, which Cole really loved. This place rocks! I actually got quite hungry looking at the photos again and writing this post. 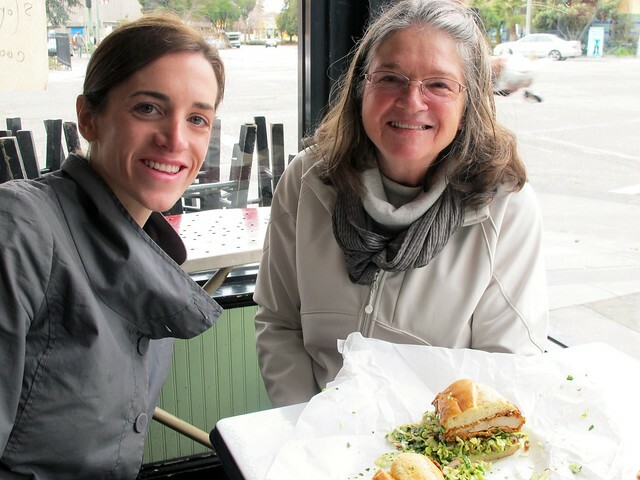 Thanks, Vicki, for the delicious lunch and for introducing us to a new favorite bay area lunch spot!